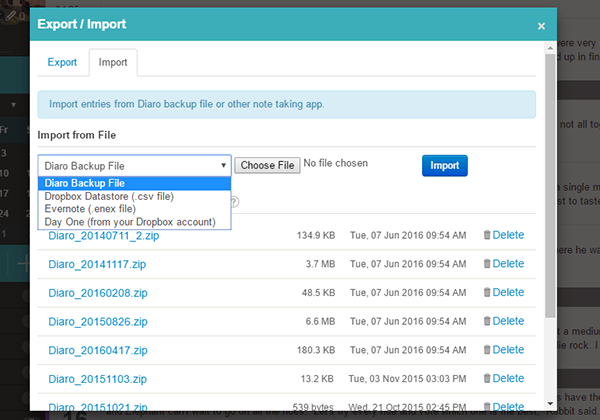 How do I import data from a backup file / Evernote / DayOne? 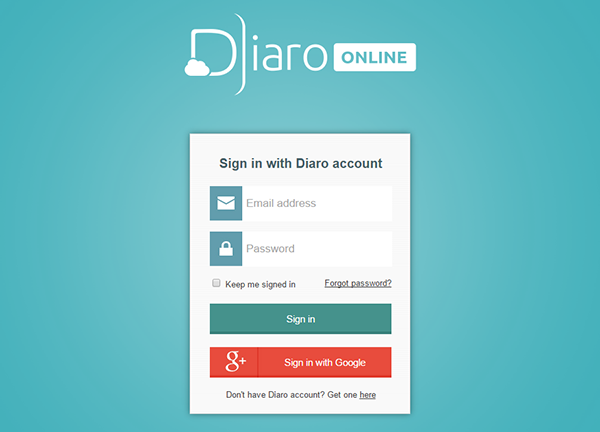 /All articles /Diaro Online /How do I import data from a backup file / Evernote / DayOne? 3. 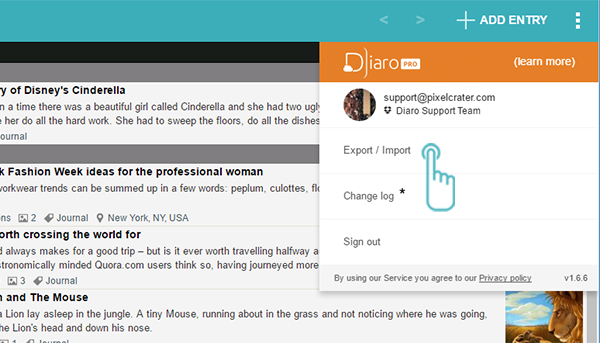 In the Import tab, select the app and file you want to import data from.